auslander wrote: According to your PM, nothing. My PM? PM May does not speak for me she's a malignant parasite. But surely you have some info on this. I've been to Crimea twice once in 2009 and again 1-2 weeks after becoming part of Russia. It's very beautiful and they were all celebrating when I was their. I ve posted pics on here in the past. I was also in donetsk. One of my friends older man said that his pension was to go up which he said would be greatly welcomed he was in soviet navy as an INT officer on a submarine but never was stationed in Crimea but use to go there for holidays and eventually moved. At this time I have not the hours to devote to this research. I am in the middle of putting my books on a popular blog and collating all the Amazon and private reviews on the tomes. Perhaps in a few weeks I'll have the time to do so. VVP will be there for the final inspection and 'go for it' on the morrow. Semi reliable info says it opens to we ordinary workers and peasants sometime around dawn on 16 May. Damn it Russia, you've made it. Congrats and happy travels. 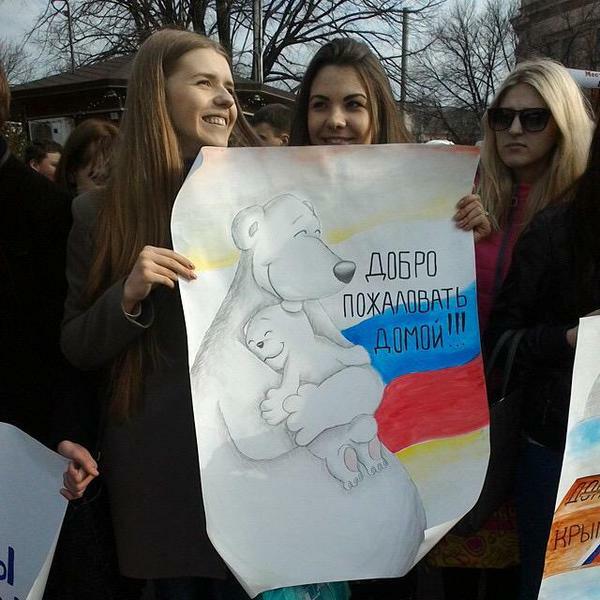 Crimea will definitely change financially after this. Now if they could only build ships this fast. Anybody got any idea how much this bridge cost? End to end including a fair amount of the feeder roads at each end, 210 billion rubles. 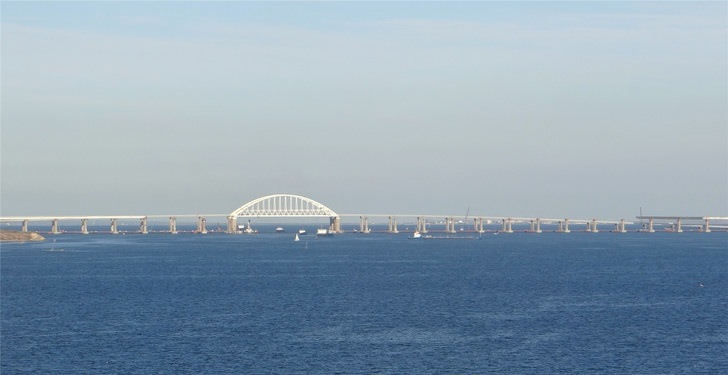 Ukrainian President Petro Poroshenko has said that despite Russia's attempts to legitimize the temporary occupation of the Crimean peninsula, Ukraine will continue to consistently defend its positions in international courts, including the illegal erection of the Kerch Strait Bridge. 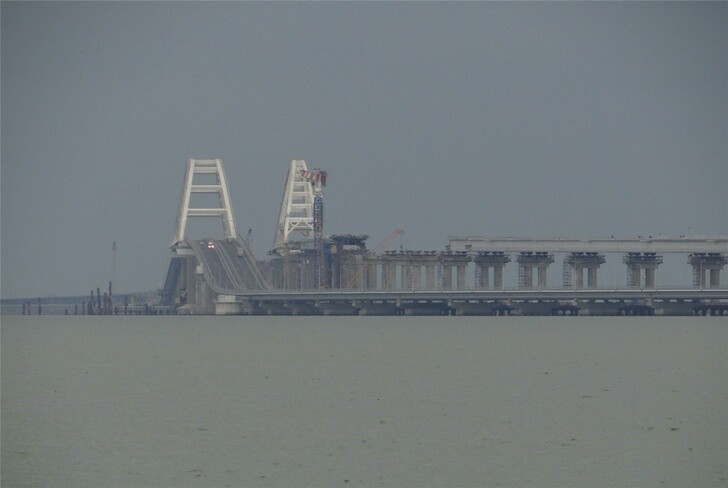 "The illegal construction of the Kerch Strait Bridge is more evidence of Kremlin neglect of international law, especially the fact that the span was opened on the eve of another anniversary - the deportation of the Crimean Tatar people by the Stalin regime," Poroshenko wrote in his Facebook page on Tuesday. Poroshenko said Moscow's attempts to legitimize the temporary occupation of the Crimean peninsula are futile, as evidenced by the growing number of international court decisions confirming that "the burden of a perfect international crime for Russia will only grow." "Ukraine will continue to consistently defend its positions in the future. I recall that on my instructions to the Arbitration Tribunal of the UN Convention on the Law of the Sea. 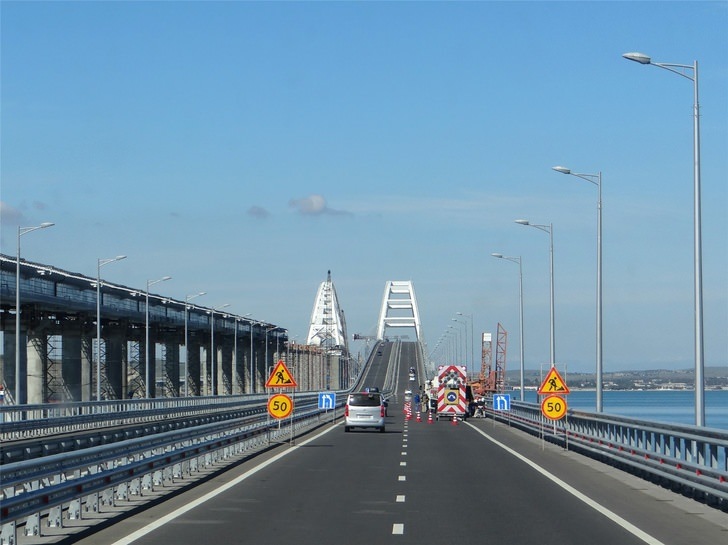 A petition was filed for the protection of Ukraine's sovereign interests, in particular, in connection with the illegal erection of the bridge," Poroshenko said. At the same time, the president expressed regret that the Russian authorities are trying to draw representatives of European business into their infrastructure adventures, seeking to buy back from international legal responsibility there. "I'm sure the aggressor will not succeed. 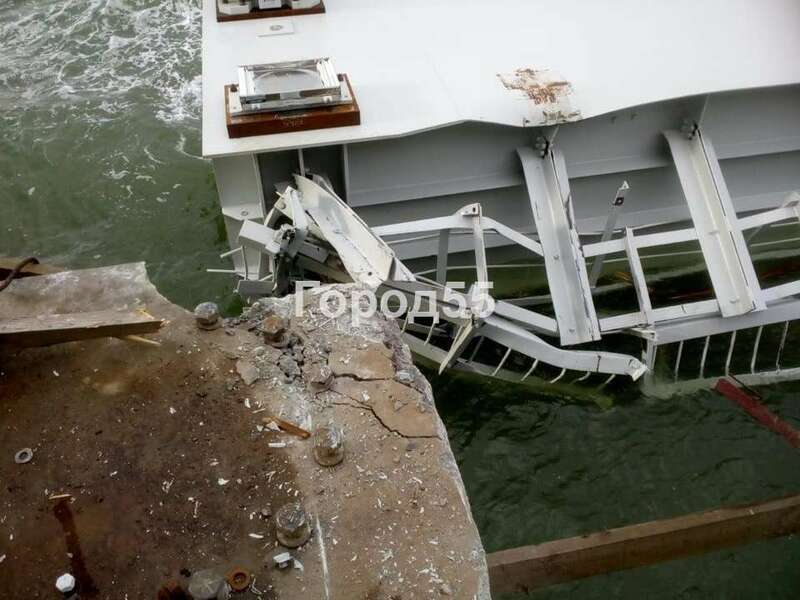 Russia will be fully responsible, and the bridge will be necessary for the invaders when they leave our Crimea urgently," Poroshenko said. Fat man can squeak all he wants, I'm sure he has been told that if so much as a Orcland bird takes a dump on the bridge, Mother will be in Kiev by Monday and Lemberg by Wednesday. Ball's in your court, Porky. Bikers drive to Crimea, great video showing all the details. The construction of the first stage of the Sakskaya CHP plant is completed, the equipment is ready for operation and supply of electricity to the Crimean energy system, the press service of the company "KrymTEC" reported June 1. 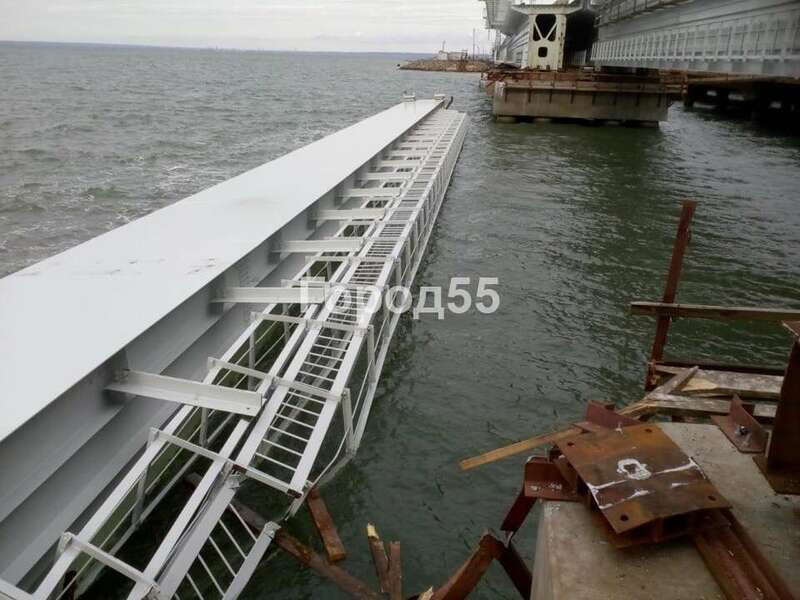 Earlier reports on the Crimean bridge opening. Needs to be here. New record was achieved yesterday with 32000 cars. One question is there any fee for using bridge? Also, rust is pretty normal for salt water bridge. Not sure about quality of concrete, but it looks alright. This rusty parts belong to the support structure that will be gone after the real bridge parts have been laid. The span now in the water is certainly having its corrosion resistance tested. If it has box and tube sections this is not good for its future life. The paint should protect the metal. Maybe they have to paint it fresh. A job for the guy who is responsible for that. while Ukrainians from Liveua map will be jumping for joy for a small glitch, its nothing. Bridge still full swing and full use, and doing much more than anything Ukraine could ever built. Love how some of the idiots here use pro Ukrainian news liveuamap. Idiots. A piece of the bridge collapsing that is under construction is a very common issue, especially over here. Best thing it happened during construction and I believe this isn't the first time it happened during construction of the bridge. 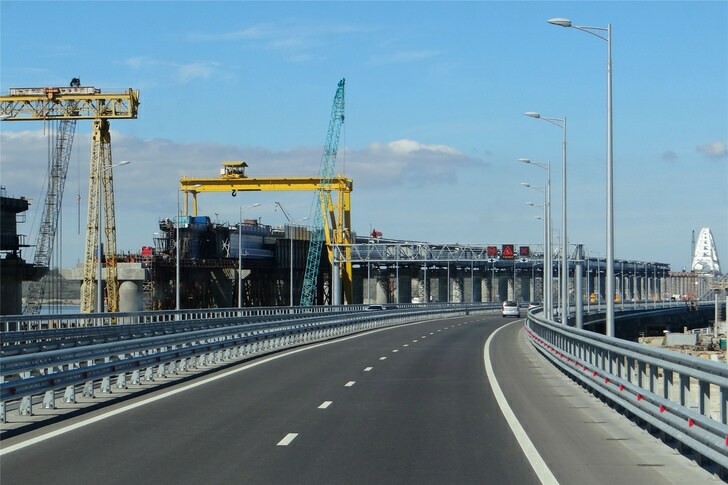 Ukrainians will be jumping for joy (and maybe some idiots on this forum who follow livemapsua) but will get a rude awakening once the rail bridge is complete. Hole wrote: The paint should protect the metal. Maybe they have to paint it fresh. A job for the guy who is responsible for that. Paint or galvanization of the steel (Zinc) is common for rust resistant. Paint being the most common due to its cheapness. Most bridges though do not have even that and hence why rust is rather common to see on bridges and its steel. Over here, you can only tell that the bridge steel is painted a coat proper for protection from rust, is if it is green in color. At least out west in Canada. They should have built underwater tunnels. This is too easy to knock out.